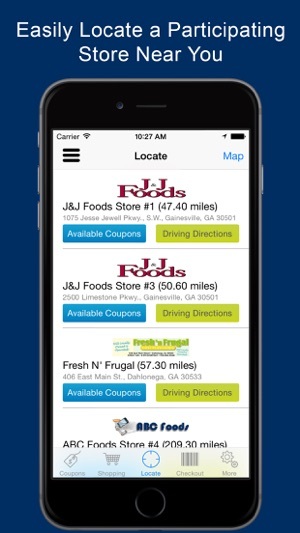 Invisipon is the world's first and only digital grocery coupon company that automatically applies manufacturer and retailer coupons at checkout without ANY effort on the consumer's part whatsoever. 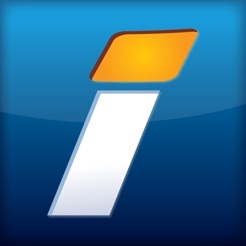 Simply sign-up, create your profile, and let Invisipon deposit coupons into your personal Coupon Savings Account based upon your profile and buying habits. There's nothing to print, clip, or download. 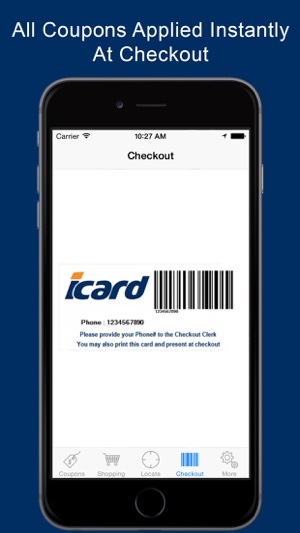 All coupons are instantly redeemed at checkout with your Invisipon iCard (built into the app), retailer loyalty card, or even just your phone number. Feature enhancements and minor bug fixes. Be sure to check out the all new "Dashboard" on the "More" tab to see how much you're saving, where you're saving, and what you're saving on. 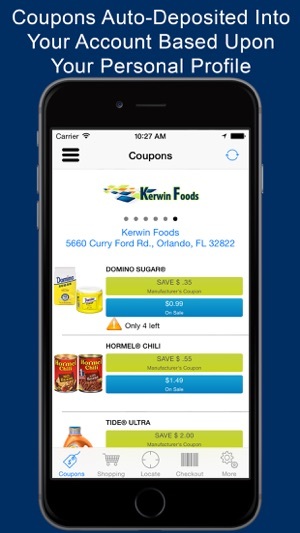 I like the idea of Fareway customers being able to use their store coupons and electronic manufacturers coupons from an app. Now they made the genius move to make you click each coupon individually to be added to your shopping list it’s more of a pain. Why you ask? 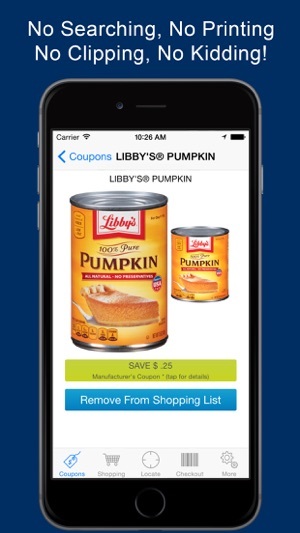 If I am going to spend my time clicking coupons to my shopping list, I expect them to stay in my shopping cart. 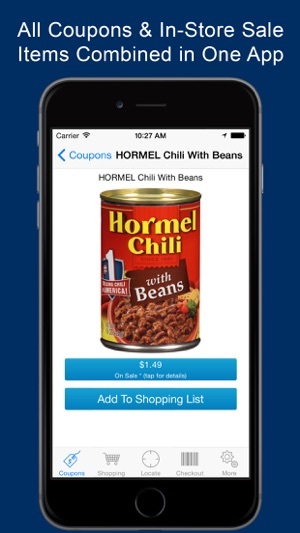 This morning I did a test to see if it was fixed, I clipped two coupons and put them in my shopping cart. Came back to look at them this afternoon and they were NOT in my cart anymore. If you have to keep entering items in your cart after you’ve clicked it, that makes no sense and the app is superfluous. This app is a waste of time and energy. Numerous times I have contacted them about the coupons NEVER staying uploaded but nothing has changed and never have I gotten a reply. You would think Fareway would get on the company to make things right but that hasn’t happened. Downloaded this again thinking maybe it had improved. Nope still does not recognize my email which was the problem over a year ago. I have no 4 digit PIN number 🙄.Asked for password because it said it wasn’t what I remembered. Got told again my email was not recognized.